You can bet I nearly fainted when my friend photographer Kate Headley sent me this image yesterday!!! 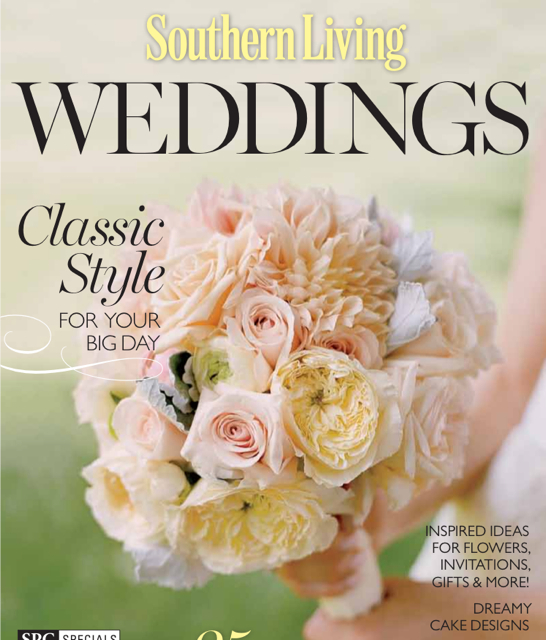 It’s true, a Holly Heider Chapple Flowers bouquet will be on the Cover of Southern Living Weddings Magazine. There are in fact two covers, but we are one of them!!! This time of year is so exciting and we have more good news coming your way very soon. Many thanks to Kate for doing such an incredible job capturing our work. Lots of love also to our bride Allison. The magazine hits the newsstands on Jan. 6th. Congrats to all – it’s a beautiful bouquet! Congratulations! That is fantastic, the picture and the bouquet are absolutely gorgeous. Amazing Holly! Such an honor! Congrats Holly & Team ! AWESOME!! So so so happy for you and proud of you! You deserve a cover, Holly, after all your hard work and mind-blowing designs…high five your team of designers for me, too. Love you all! Woohoo!!! It was the most perfect bouquet! HOORAY! What a gorgeous cover! Congratulations!!! I can’t wait to get a copy!